The internet has changed the way we communicate. It has many positive values but has also allowed hateful content to spread to a broader audience, without editorial control and often behind a veil of anonymity. While you may come across a lot of material on the internet that offends you, a small proportion of it is actually illegal. 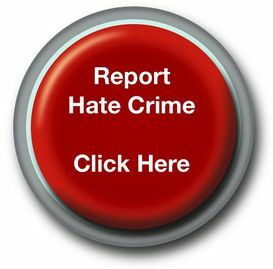 Hate material online is recorded by police as a 'hate crime' when a crime defined in law is committed with hate motivation. When online material is hate motivated but does not meet the threshold for a criminal offence it is recorded as a 'hate incident'. All recording is vital to monitor community cohesion. UK laws are written to make sure that people can speak and write, even offensive material, without being prosecuted for their views. Parliament has tried to define laws in a way that balances our freedom of expression with the right to be free from hate crime. Agencies like the police have duties to promote good relationships between different parts of our communities, but they do not have powers to control offensive thoughts or words unless they are shared illegally. We understand that hate material can damage community cohesion and create fear, so the police want to work alongside communities and the internet industry to reduce the harm caused by hate on the Internet. You can find advice about staying safe on the internet at Get Safe Online here or report online hate material to the police here. The content of a website can also be illegal when it threatens or harasses a person or a group of people. If this is posted because of hostility based on race, religion, sexual orientation, disability or transgender then we consider it to be a hate crime. web pages with pictures, videos or descriptions that glorify violence against anyone due to their race, religion, disability, sexual orientation or because they are transgender. The Director of Public Prosecutions, who has the responsibility for deciding who should be prosecuted has produced guidance to prosecutors to ensure consistency. If material promotes terrorism you should report it via the dedicated portal via the Directgov website here. Most hateful or violent website content is not illegal but you can still take the steps below to have it removed if it upsets, scares or offends you. If you percieve some online material to be motivated by hate and you think it originates in the UK, you should report it to the police. Most websites have rules known as ‘acceptable use policies’ that set out what cannot be put on their website. Most do not allow comments, videos and photos that offend or hurt people. Platforms such as Facebook, YouTube or BBC News have simple ways for you to complain about a page or video. If what you’ve seen is on a site with a good complaints system, you should report it to the website’s owners. Look out for their ‘contact us’ page, which should be clearly linked. Others will have a ‘report this page’ button that you can click. If the website itself is hateful or supports violence then let the website’s hosting company know. Hosting companies provide a place where the website sits, and often have rules about what they are willing to host. Let the hosting company know they are hosting a website that breaks their rules, and ask them to stop. You can find out which company hosts a website by entering their web address on the ‘Who is hosting this?’ website. You can also contact your own internet supplier to get more information.